I’m finally convinced that spring is here! 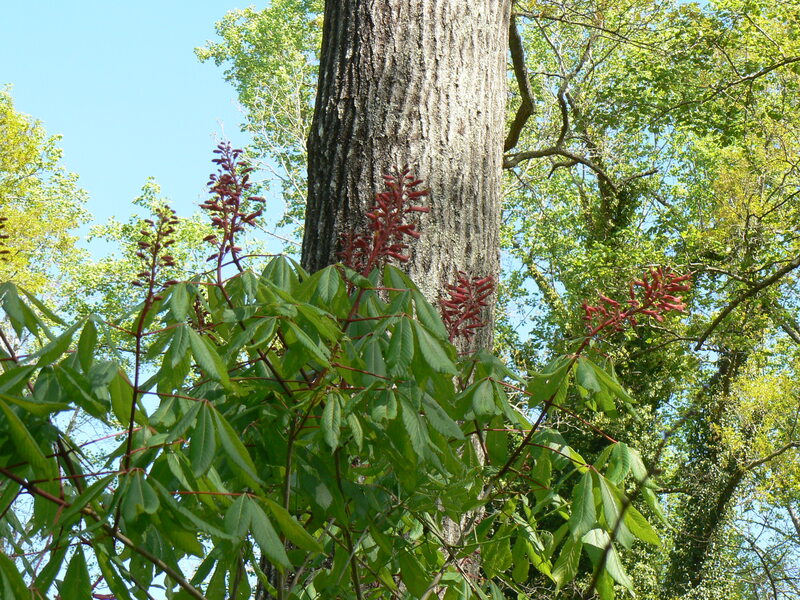 Sufficient rain and warmer weather have created ideal conditions for an explosion of blooms. 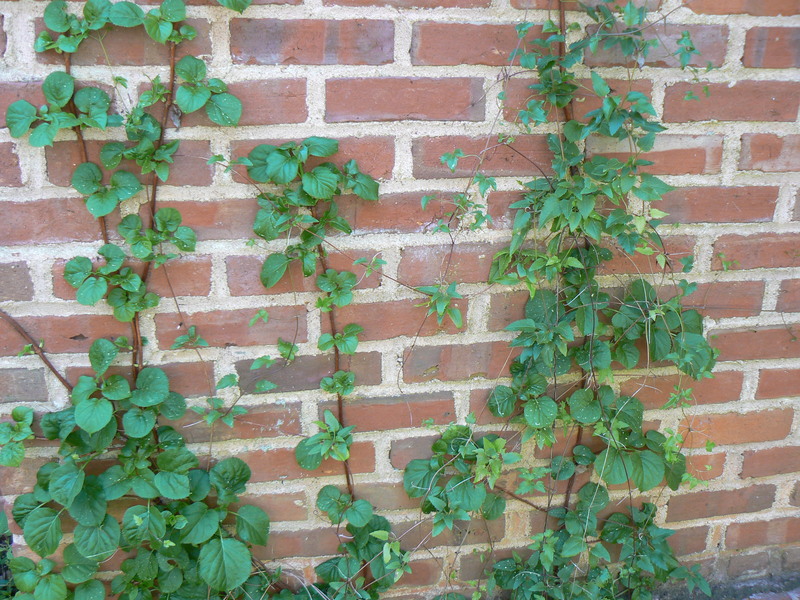 Climbing the wall; Hydrangea anomala petiolaris & Clematis ‘Freckles’ using it for support. 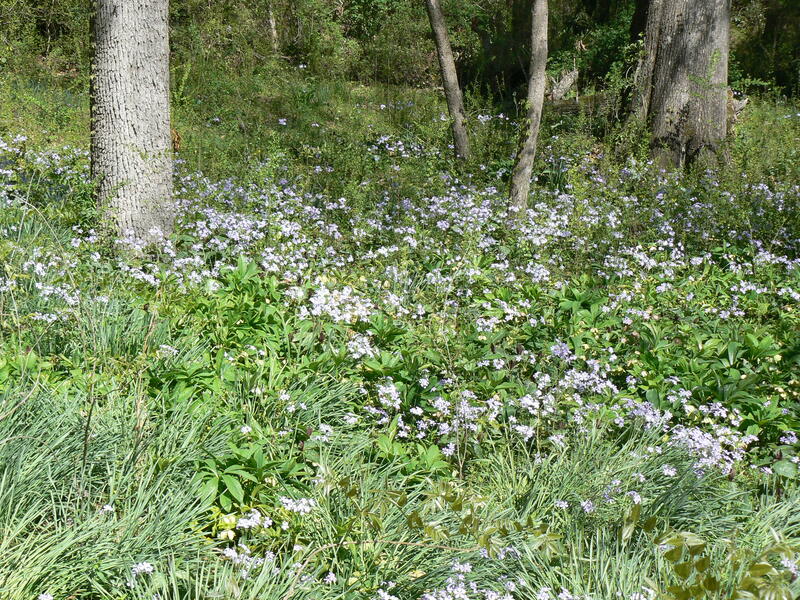 The Phlox divericata encouraged to naturalized between the daffodils. I have pruned all the Hydrangea arborescens ‘Annabelle’, and almost all the Hydrangea paniculata. I still have to deadhead the Hydrangea macrophylla but I like to attend to those last lest I get too enthusiastic and remove this years flower buds. Pruned some of the clematis that require it and took an inventory of the garden. Some of the news is not good. I have record losses this year. 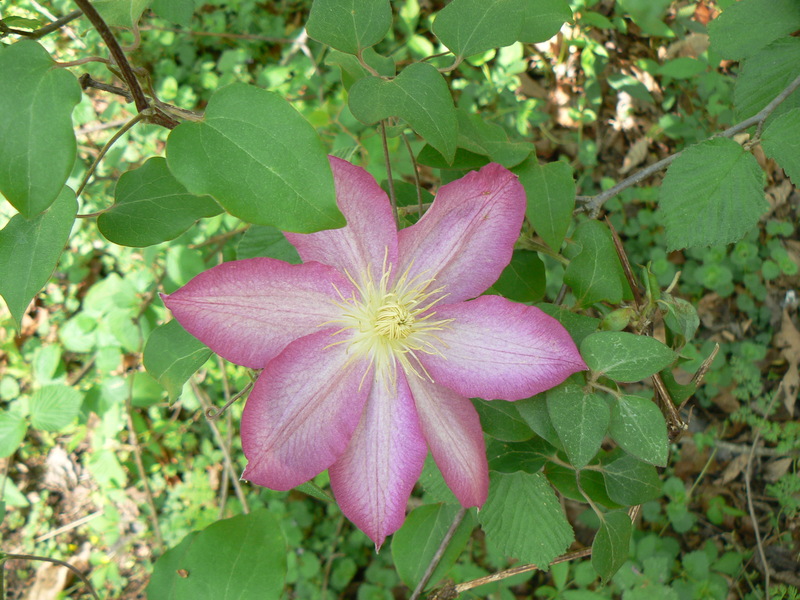 There is no sign of life on several Clematis, and my favorite Quince ‘Apple blossom’ has bit the dust. Over the last few years I have let some shrubs go and now they require some drastic pruning. Good thing I bought a good excellent lopper. That is another post, promise. This entry was posted in Accessories, Clematis, Flowering Trees, Hydrangeas, Shade Gardening, Shrubs, Small trees, Vines, Wildflowers and tagged Aesculus pavia, Annabelle Hydrangea, clematis, Clematis Asao, Clematis freckles, climbing hydrangea, Hydrangea anomala petiolaris, hydrangea macrophylla, native phlox, Phlox divericata. Bookmark the permalink. Beautiful. Spring has definitely arrived for you. Wait til you see what is budding in my garden…. It is still gorgeous. Sorry for the plant loss..so much work and Mother Nature has other plans! Sorry to hear of your losses but so glad that spring has arrived! 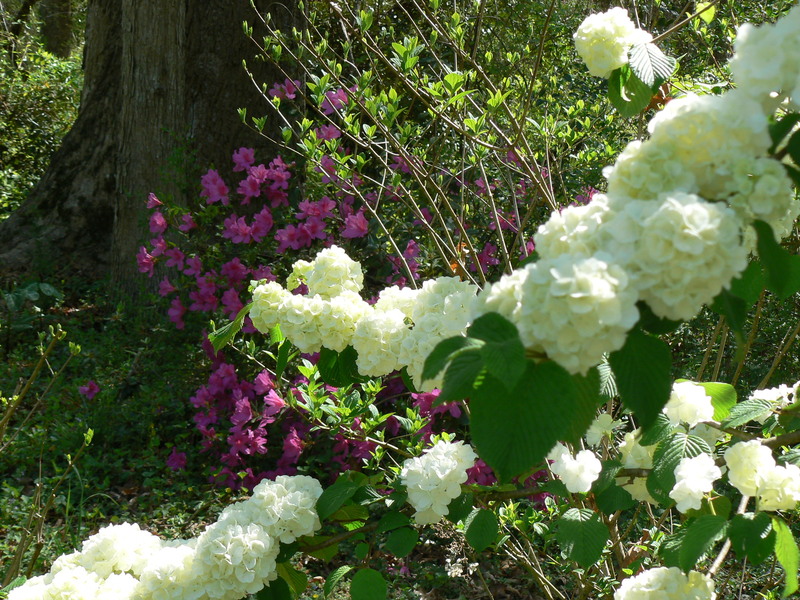 Azaleas really say spring and yours is beautiful paired with the Viburnum. Sorry for your plant losses. The plants that have bit the dust over the past several years for me have been so unusual. It is an odd combination of the really robust and the more fragile. I think the variable nature of the weather during the fall and the combination of when we get rain during that period has had a real impact.